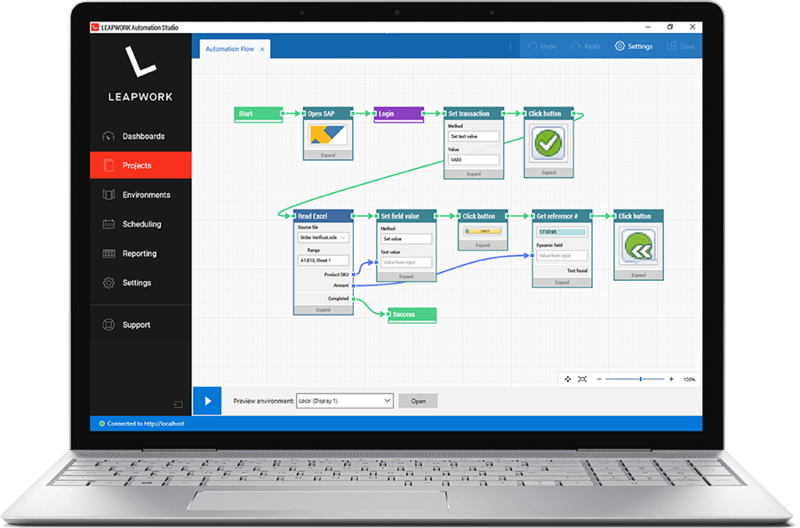 The LEAPWORK Automation Platform lets both technical and non-technical specialists design automation flows, without ever typing or reading a single line of code – and then execute cases with the click of a button. 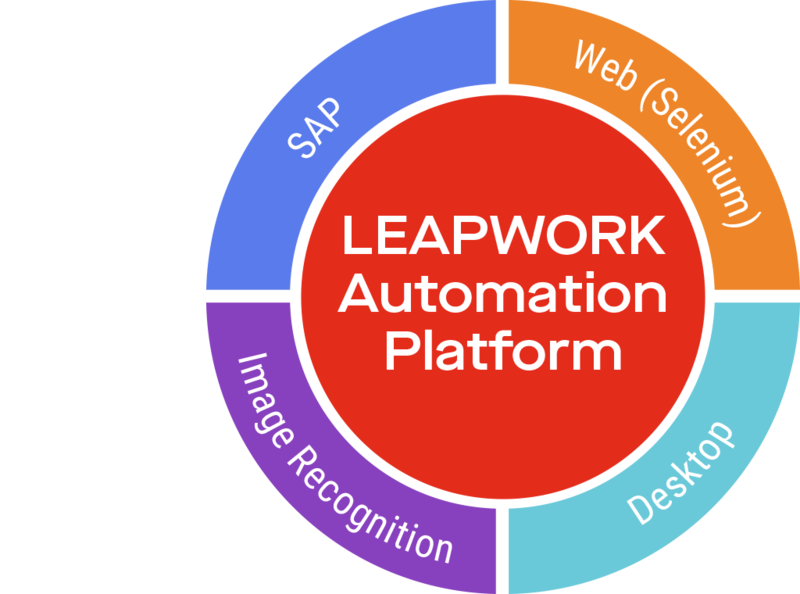 The LEAPWORK Automation Platform is a fully featured automation tool. 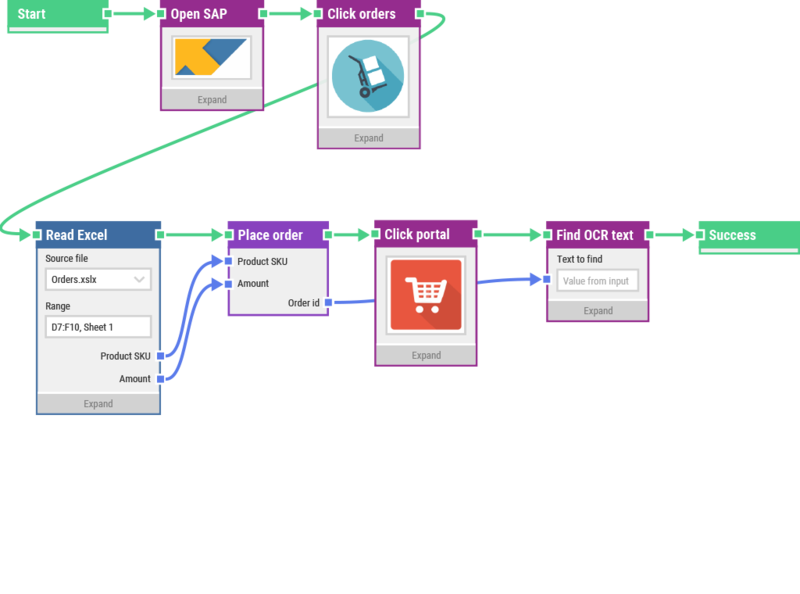 Users can build and execute automation cases from day one with the flowchart-based designer. Remote applications that only render finished pixels on a screen cannot be automated with regular automation approaches. This is true for remote desktops and Citrix applications, but also graphics applications, games (both 2D and 3D), and Java applets, to name a few. The LEAPWORK Automation Platform handles this specific challenge using image recognition technology, enabling automated remote testing of virtual desktop applications running any operating system in any desktop virtualization software. The LEAPWORK Automation Platform comes with an entire set of automation blocks for all actions related to image and text recognition. These include finding, selecting, and getting text and image elements as well as controlling any mouse and keyboard action. Besides the image recognition automation capabilities for remote desktops, the LEAPWORK Automation Platform relies on different UI automation technologies, each solving specific types of automation challenges. They make it possible to automate any kind of application; from SAP, Citrix, and desktop applications, both in-house and cloud based, to web applications in desktop browsers and on mobile devices. The LEAPWORK Automation Platform enables do-it-yourself remote test automation without the need for programming. 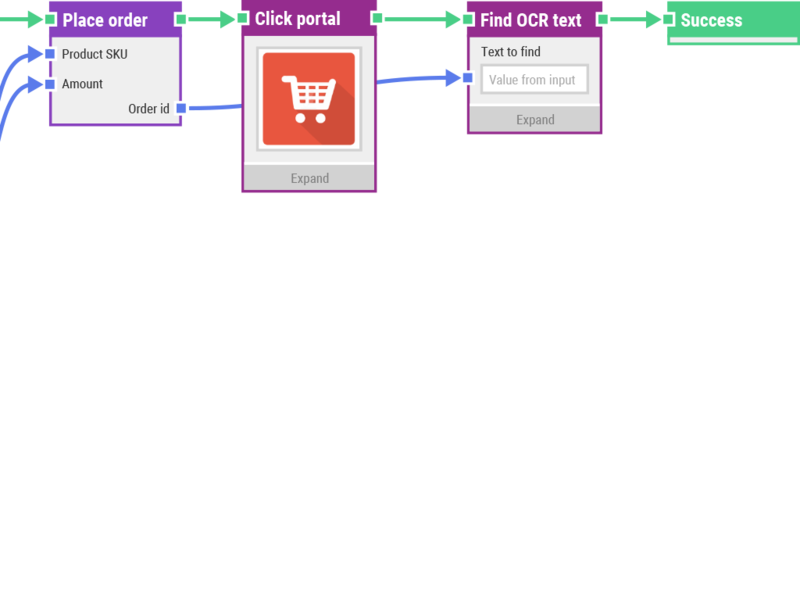 Automation cases are built as flowcharts on a design canvas by putting together powerful building blocks. The blocks include all the logic needed for automating technologies. 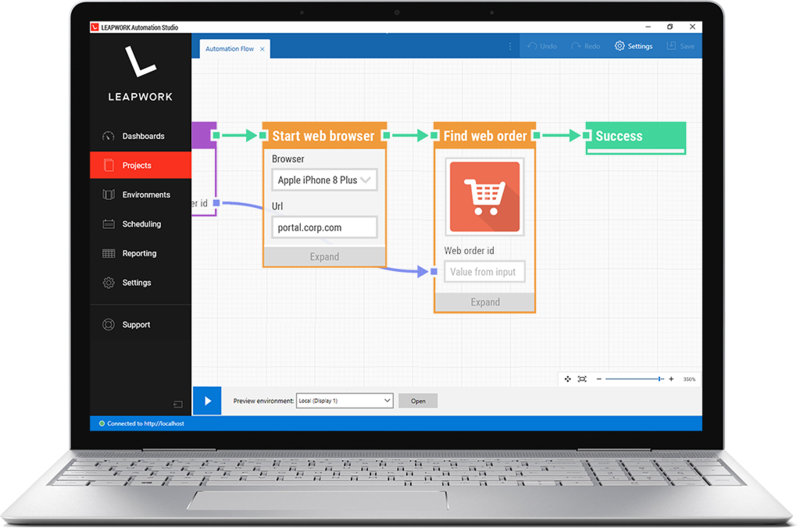 Design, execute, schedule, and monitor automation in one place. Work on automation cases in teams, share project assets, and set up feedback loops across departments. The LEAPWORK Automation Platform is a tool for specialists, generalists, and management alike. Run automation cases on any device. Do it on premises, in closed networks, or in the cloud. A centralized Controller component takes care of scheduling and monitoring.